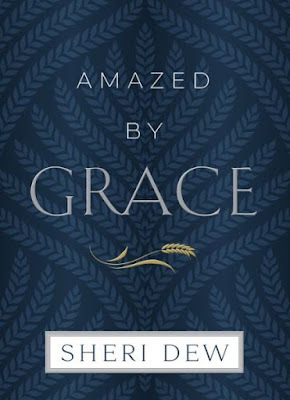 Ken and I recently read Sheri L. Dew's new book, Amazed by Grace. It's based on a talk that she gave at BYU's Women's Conference in May, 2014. 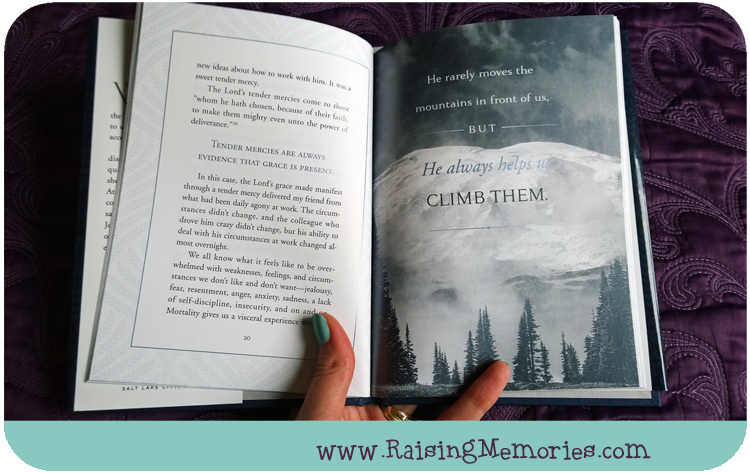 The book includes some more stories and thoughts that were not included in the original address and is presented beautifully in a small 5.5x7.5" hardcover book, 80 pages long, As seems to be common with Deseret Book's recently published inspirational books like this one, the pages are arranged nicely with a border and with meaningful quotes emphasized with occasional pages with quotes over photographs (as shown below). 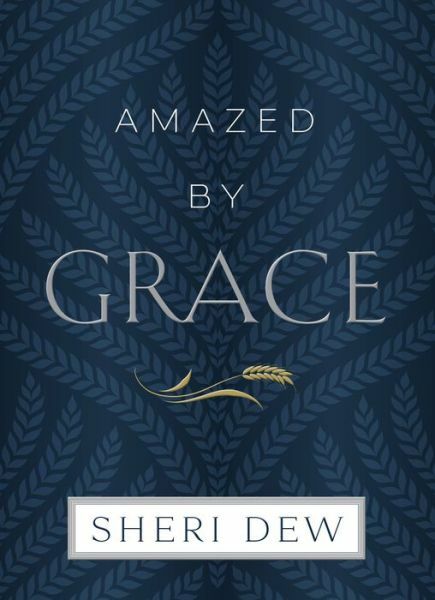 As we read the book, Ken and I had a discussion about Grace and what it is exactly, referring to Sheri's book, a recent General Conference talk by President Dieter F. Uchtdorf, entitled, "The Gift of Grace", as well as Elder Bednar's talks on the subject and referencing the Bible Dictionary. I love it when something gets us thinking and studying together like this. We talked about whether grace is actually a power itself, or whether it is an attribute which leads to the use of power. I will spare you all of our thoughts and conclusions because I suspect you would have a more enlightening experience if you were to read the book (or talks) yourself. What must we do to gain access to the Savior's power? It's great food for thought and I probably never would have heard of Sheri's original talk, had I not come across her book. This is another book that I think would make a lovely gift. Disclosure: I was provided a copy of this book for review purposes. All opinions shared are my own.